Amateur radio related articles and hardware improvements and modifications. Improving on the design of my 15 Element Yagi Antenna for 2.4Ghz Wifi band, now with a much cleaner pattern no side lobes and higher front to back ratio at 24.8 dB. This antenna is pretty much usable from to 2340 Mhz to 2460 Mhz with less than 2:1 SWR this is centered at 2420Mhz with 1:1 SWR and about -30dB S11 antenna reflection coefficient. Building it is pretty straight forward just cut and paste (lol) bend the driven element and feed it with a 50 ohm coaxial cable rated for WiFi frequency, and check the SWR of the antenna. Here’s the finished antenna side by side with my previous build. 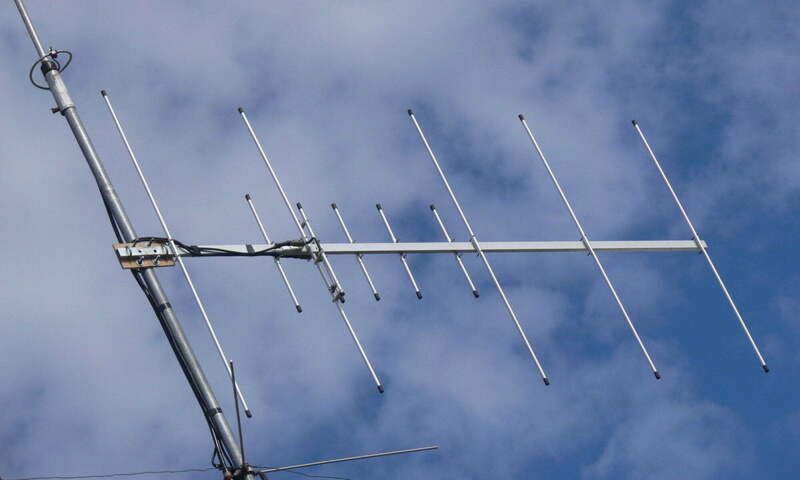 Build your own 2m/70cm 3 Elements VHF by 5 Elements UHF Yagi antenna with excellent gain for both VHF and UHF operation. This antenna is designed for amateur band frequency for both VHF (2m) and UHF (70cm). The antenna has good reflection coefficient and VSWR ratio @ 1.2:1 at center frequency and 1.7:1 at band edge.